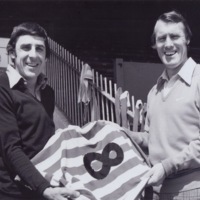 One of the top Exeter City FC goal scorers, Alan Banks (born 5 October 1938) played for Liverpool, Cambridge City, Exeter City, Plymouth Argyle and Poole Town. 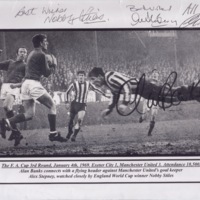 He was City's Player of the Year in 1968-69 and was presented a silver salver by the Mayor of Exeter in 1971 for breaking the clubs goal scoring record. 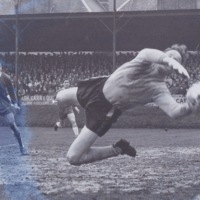 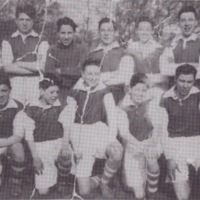 Alan Banks offered a number of items for digitisation and exhibition including a silver plate he was given by the club when he overtook Graham Rees as City's leading goal scorer in 1971; two caps received for playing home and away for England Boys against Scotland. 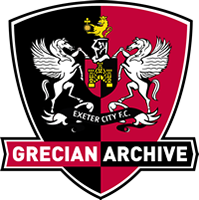 The collection includes an interview with Alan Banks, conducted in 2015, as part of Grand Challenge run by University of Exeter.